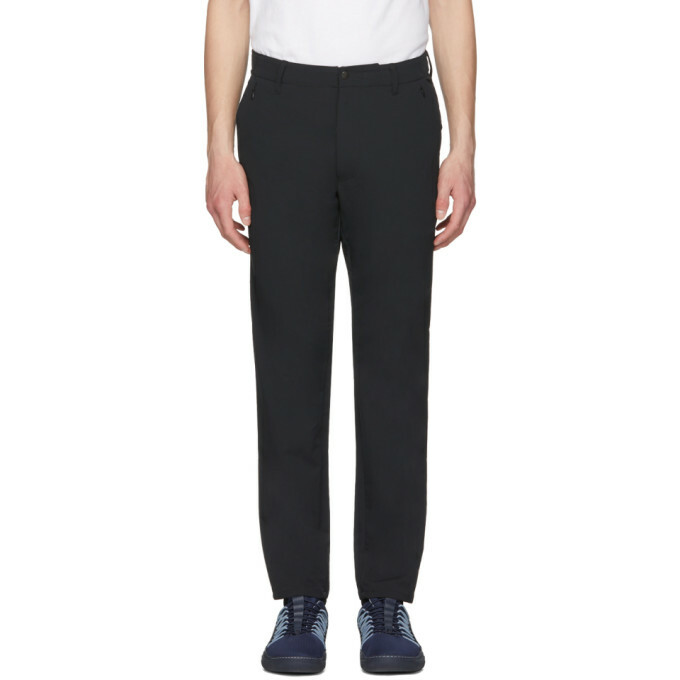 Slim-fit woven Alphadry® trousers in black. Mid-rise. Six-pocket styling. Zip-fly. Tonal hardware. Tonal stitching. 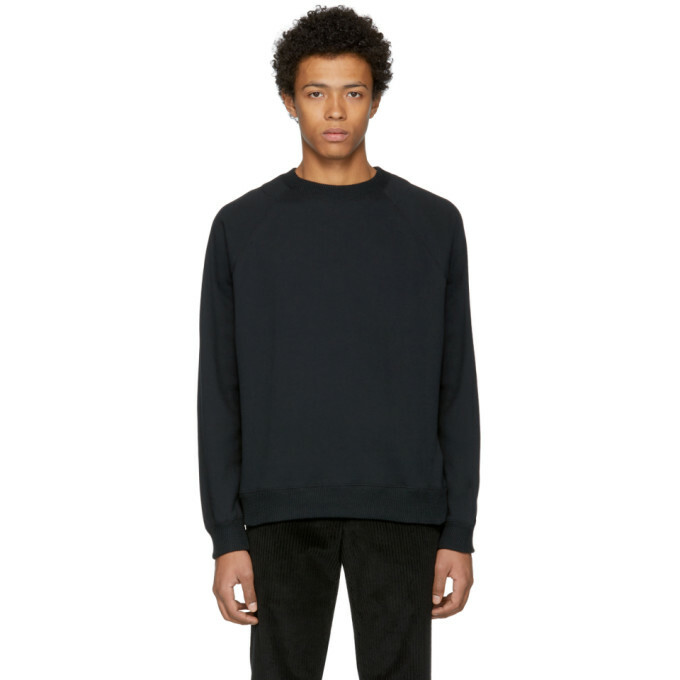 Long sleeve fleece sweatshirt in black. 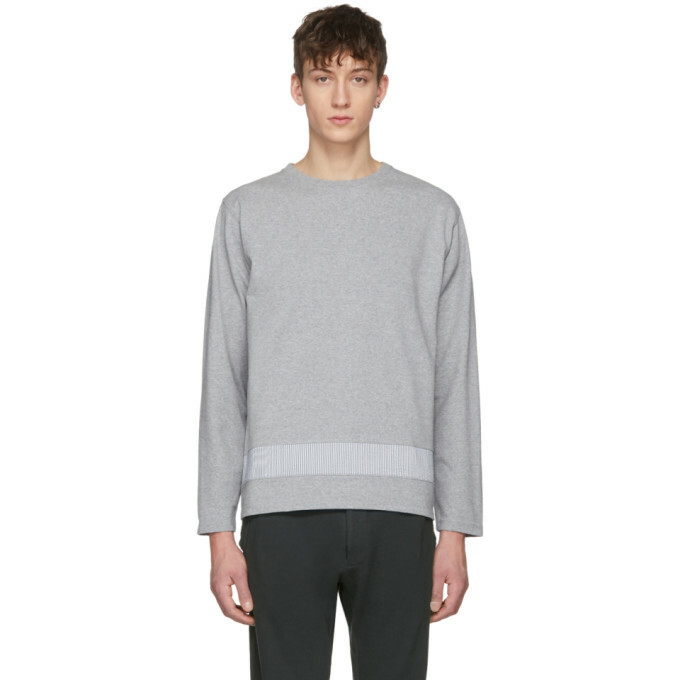 Rib knit cotton crewneck collar, cuffs, and hem. Raglan sleeves. Panelled back. Tonal stitching. 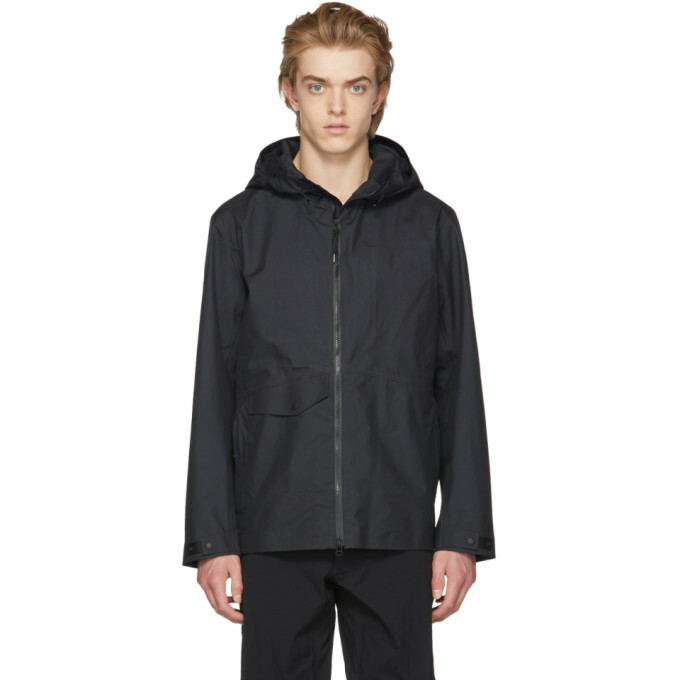 Long sleeve Gore-Tex® technical poplin jacket in black. Bungee-style drawstring at hood. 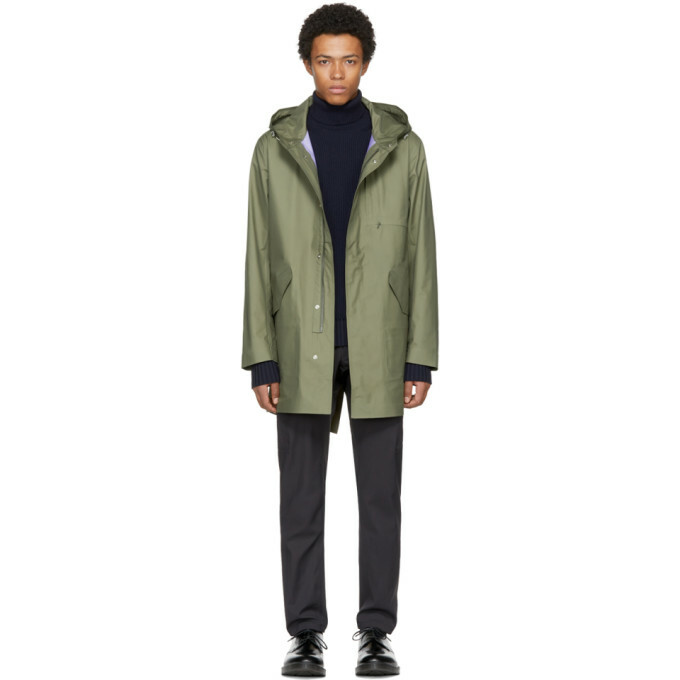 Two-way zip closure at front. Flap pocket and zippered pockets at waist. Post-stud tab at cuffs. Bonded lining. Tonal hardware. Tonal stitching. 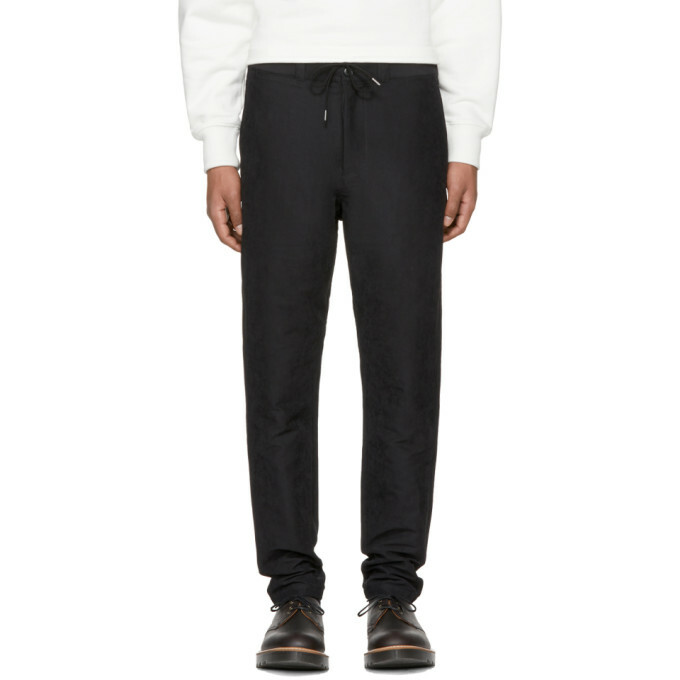 Slim-fit cotton and nylon-blend moleskin trousers in black. Five-pocket styling. Partially elasticized waistband. Zip-fly. Tonal hardware. Tonal stitching. Relaxed-fit French terry lounge shorts in black. Tonal technical satin trim throughout. 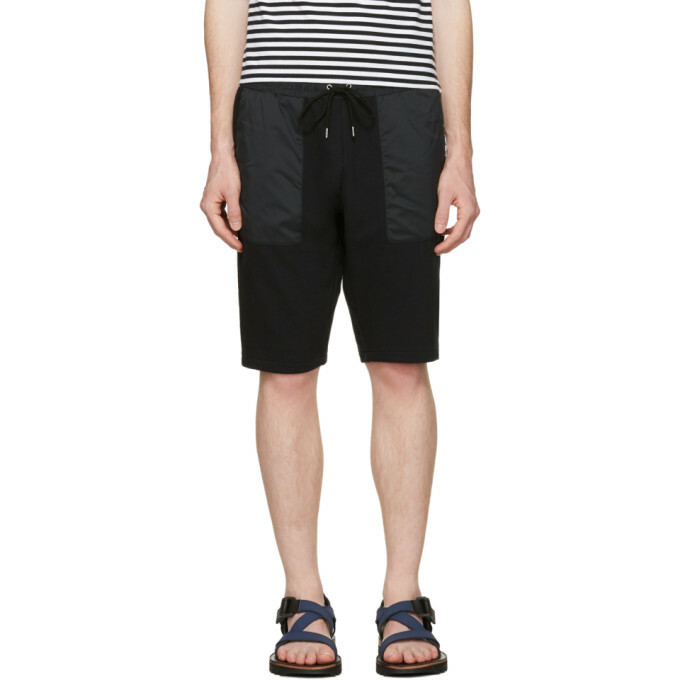 Drawstring at elasticized waistband. Three-pocket styling. Tonal stitching. 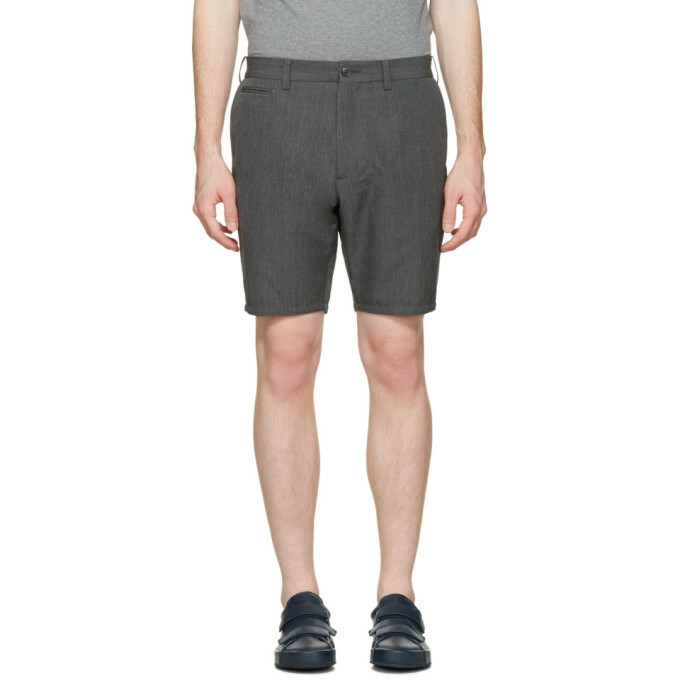 Slim-fit wool-blend shorts in heather grey. 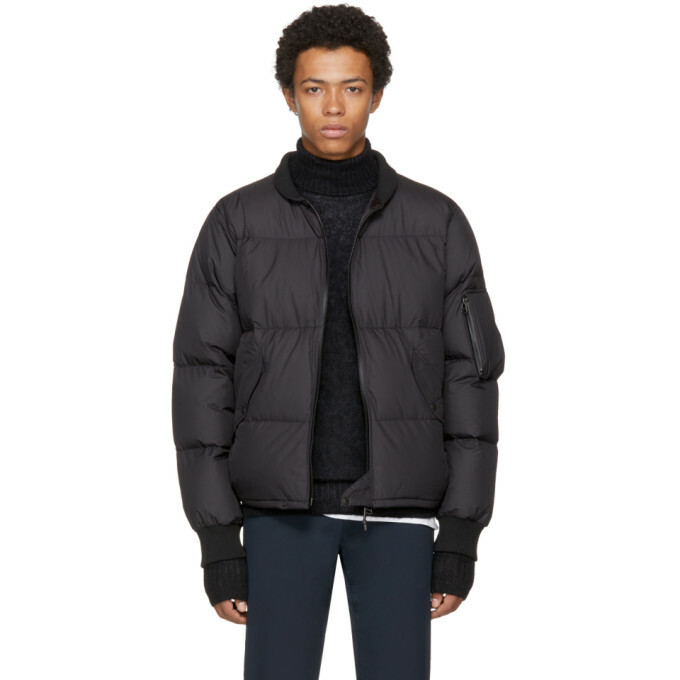 Partially-elasticized waistband. Five-pocket styling. Zip-fly. Tonal stitching. 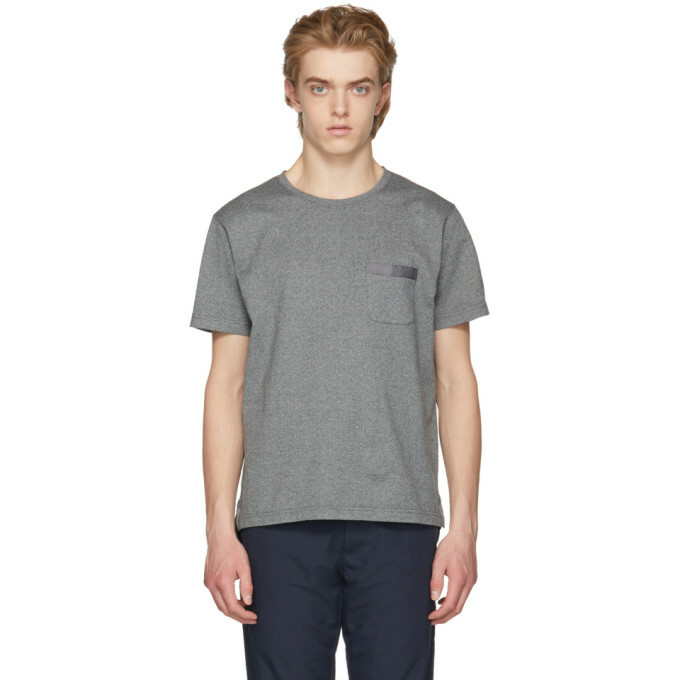 Short sleeve cotton and nylon-blend Cordura® t-shirt in heather grey. Rib knit crewneck collar. Patch pocket at chest. Grey grosgrain trim at pocket and vented side-seams. Drop-tail hem. Tonal stitching. Long sleeve jersey t-shirt in heather grey. Rib knit crewneck collar. Crepe cotton band with blue and white pinstripe at waist. Tonal stitching.